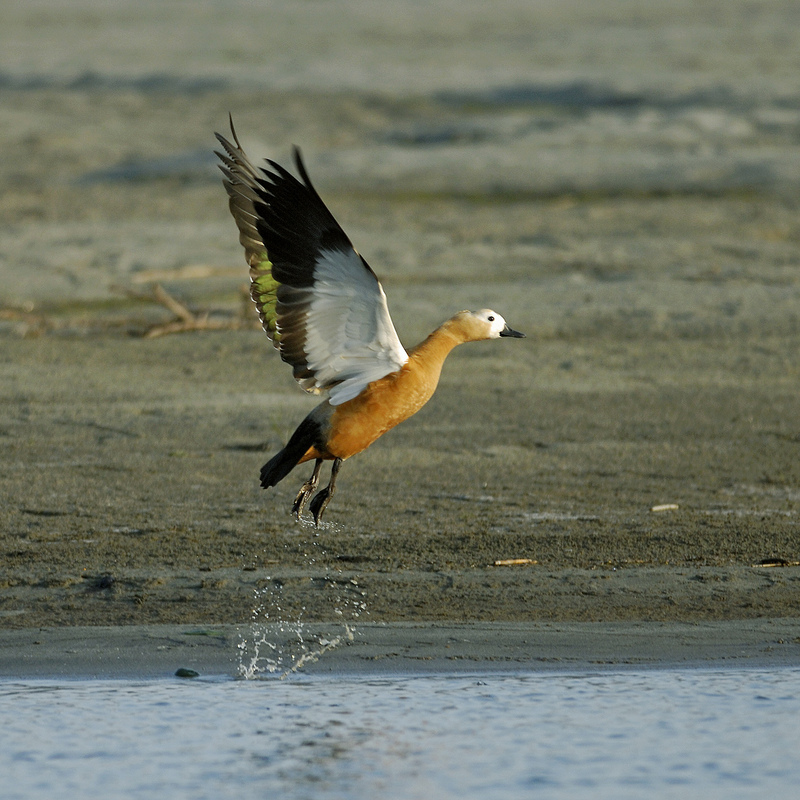 Whitish-buff head; orange-brown plumage; in flight, orangish body, white wing-coverts, green speculum and blackish flight feathers distinctive; black tail and ring around neck (breeding). Female has a whiter head and lacks neck-ring. Young birds look like female and have some grey in wings. Pairs or small parties, rather wary; rests during day on river banks, sandbars, edges of jheels; prefers clear, open water. Rivers with sandbars, large, open jheels. Grain, shoots, insects, molluscs; reportedly also carrion. Breeds in Ladakh; winter visitor; all across India, less common in south. Loud, goose-like honking, on ground and in flight.